This exhibition of works by Sigurdur Gudmundsson (b. 1942), presents a period in the artist’s career in which he focused solely on the medium of photography yet conceived his work in terms of sculpture and poetry. These photographs, influenced by Fluxus and conceptual art, and collectively titled Situations, construct a certain poetic and philosophical vision through a series of staged situations where the artist himself is a stand-in for a persona caught in different circumstances. Each mise-en-scène frames human existence in a humorous and pointed way, confronting the balance between nature and culture. Gudmundsson juxtaposes his meditations on existential questions, such as D’où venons-nous? Que sommes-nous? Où allons nous? (Where do we come from? Who are we? Where are we going? ), with an imaginative interpretation of the environment and elements of fantasy. At the same time he, positions human beings as part of nature, and offers viewers a fresh angle on the interpretation and experience of culture. The artist’s symbolism is drawn from subjects which range from science to fairytales, though his main source is daily life. Unlike some of the dry conceptual art of the seventies, Gudmundsson’s work is a dynamic meeting of lyricism, humor, and melancholia. 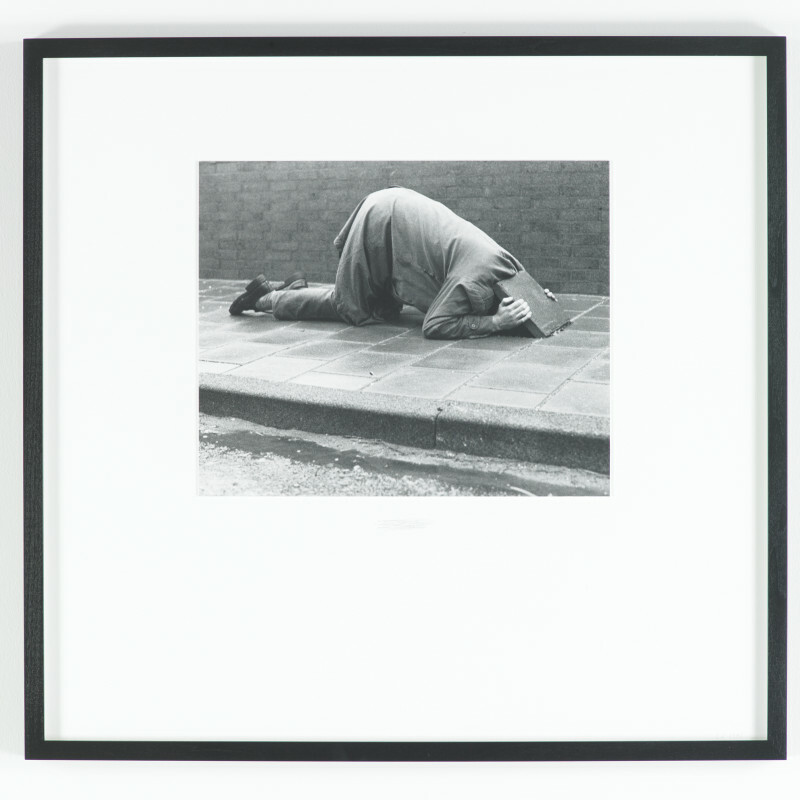 Gudmundsson’s photographic works are well known internationally and can be found in the collections of museums throughout Europe, though some of the works shown here have not previously been exhibited. The exhibition also features sketches and studies from the same period.